A 20% discount? That’s what people are seeing at their local Staples store — and at Best Buy! It’s for the Kindle DX, Amazon’s big-screen Kindle, which normally retails for $379. Now the two mega-stores are both selling the tablet-sized Kindle for just $300 — and with the right coupon, you may even be able to purchase one for just $269! 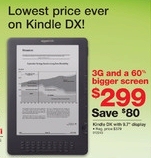 Plus, even Amazon.com is lowering their prices on the Kindle DX — sort of. Throughout this weekend I saw Amazon selling refurbished models for just $319.99. (Only nine months ago, it cost a whopping $489 to buy a Kindle DX — until Amazon introduced a newer model with better screen contrast last July.) Amazon lowered the device’s price to just $379, and changed its color from white to graphite. But even at the new price, the Kindle DX was still costing twice as much as the Kindle 3. The Staples offer appears on page 8 of their weekly deals flier flier, under a black headline announcing “lowest price ever!” (“3G and a 60% bigger screen… Save $80…”) There was even a display at my local Staples store urging “Try it out! Take one home today.” A store clerk explained that Staples has a 14-day return policy with “no questions asked.” The Best Buy offer appears on their web page. But for both stores it’s an “in-store only” offer. But I’ve always been most excited about the Kindle DX, and the lower prices make it really easy to buy one. An iPad has a screen with a 9.7-inch diameter — which is exactly the size of the screen on the Kindle DX. 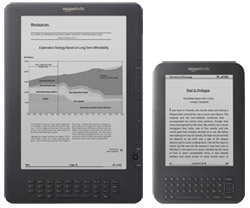 (The Kindle 3 has a 6-inch-diameter screen.) With that extra screen space, I could finally read those PDF files where the text was too small. And I really like the idea of playing a game where it’s spread out across the larger screen. Of course, a Kindle DX always weighs twice as much as a “regular” Kindle — it’s 18.9 ounces (versus the 8.7-ounce weight of a Kindle 3). 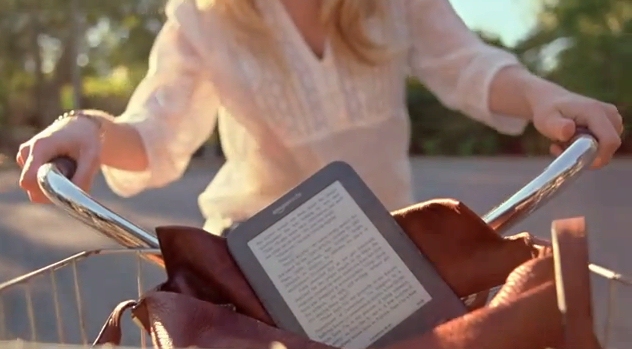 It’s either bulky and hard to hold, or there’s more Kindle to love. 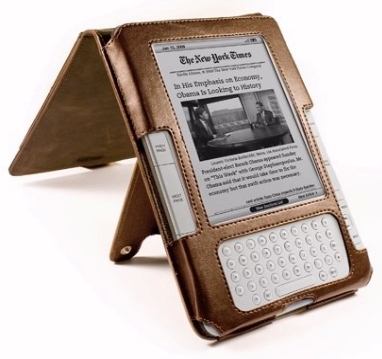 I always thought this would be the perfect gift for someone who really loves their Kindle. Give them another Kindle, but one that’s even bigger, so they can finally walk around with the biggest Kindle on the block! And I’ve also heard rumors of an online coupon that can save you an additional $30 on your purchase at Staples. It’s for purchases of over $150, but I haven’t been able to confirm if the offer is legitimate. But at least two lucky shoppers found an even better deal on their Kindle DX. Saturday Amazon listed a used Kindle DX which was sold for just $275. And the other lucky shopper was the winning bidder in a fast auction on eBay. They landed their Kindle DX for just $250! Here’s a complete list of the games available at the special 99-cent price. The offer ends March 27 — a week from Sunday. The sale is apparently designed to encourage Kindle owners to buy these games over the next 10 days, so the games will start appearing on Amazon’s best-seller lists. And it’s working. Instantly Scrabble shot into the #1 spot on the Kindle best-sellers list, and Solitaire became the #2 best-selling item in the Kindle store. In fact, six of the 10 best-selling items in the Kindle store are now games. (Mahjong Solitaire is currently #4, Sudoku Unbound is #5, and a New York Times Crosswords collection is #10.) Interestingly, even the new Word Search game (released February 3) is now #8 — though it’s not even one of the games that’s being touted in Amazon’s special promotion. It’s been in the top 100 since the day it was released, and for some reason, it’s also listed on Amazon’s Nonfiction best-sellers list, where it’s #2 — behind Sudoku Unbound. top-10 titles listed above, here’s a list of the remaining seven. Amazon sent out an e-mail Tuesday touting these games to Kindle owners who’d requested special promotional announcements. (“Check out these bestsellers that customers describe as fun, addictive, and a great way to take a break from reading.”) And I was surprised to see that there’s still more new games in the Kindle store — or at least, some games that I hadn’t seen before. For example, there’s The Warlock of Firetop Mountain — a sort of one-player Dungeons and Dragon’s game based on the “Fighting Fantasy” series of game books. 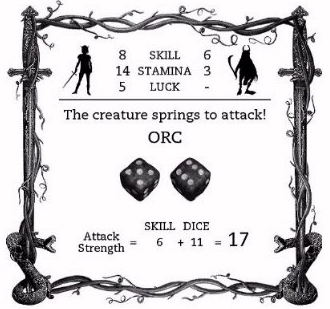 It’s a text adventure with some nice black-and-white illustrations, and even the rolling dice get adorned with some very fancy graphics. And I have to admit that I’m intrigued by a new word game called “Word Soup.” There’s over 125 different letters displayed on a grid, and the object is to build words out of the adjacent letter blocks. But when you create a word, all its letters disappear from the grid, while the remaining letters drop down a row. There’s at least 13 different rows, so it gets pretty complicated — but it looks like a lot of fun. Even at $2.99, it’s already one of the top 200 best-selling items in Amazon’s Kindle store. But for the next 10 days, it’s going to have a lot of competition from all the 99-cent games! Monday Amazon announced they’d obtained the exclusive e-book rights to seven books by Albert Einstein. “Albert Einstein is one of our most important thinkers,” Amazon’s Vice President of Kindle Content announced, adding “These books cover everything from the Theory of Relativity to Einstein’s own letters chronicling his thoughts on life. Albert Einstein was born 132 years ago on this day — March 14 — so it’s nice to see that he’s still remembered, not just for his work but for the good man that he tried to be. Search the Kindle store today for Albert Einstein, and Amazon precedes your search results with their special announcement. (“Exclusive Enhanced Editions of Einstein’s Books on Kindle! Browse seven of Albert Einstein’s books with new photographs, biographical information, and never-before-seen documents, only on Kindle.” ) Here’s their official list of the new Einstein e-books, along with a description of what’s inside. Essays in Science – Einstein’s tribute to other men and women of science, along with Einstein’s thoughts on his own place in scientific history. Essays in Humanism – An inspiring collection of Einstein’s view on how quickly the world was changing. Letters to Solovine 1906-1955 – Einstein’s long-time friend and translator compiled this “provocative” collection of letters revealing “the inner thoughts and daily life of a transformative genius”. Letters on Wave Mechanics – Amazon describes these as “lively” and “groundbreaking” letters that Einstein sent to other physicists, including Max Planck, and Erwin Schrödinger. Out of My Later Years – Einstein looks at the world again through the wise eyes of age. 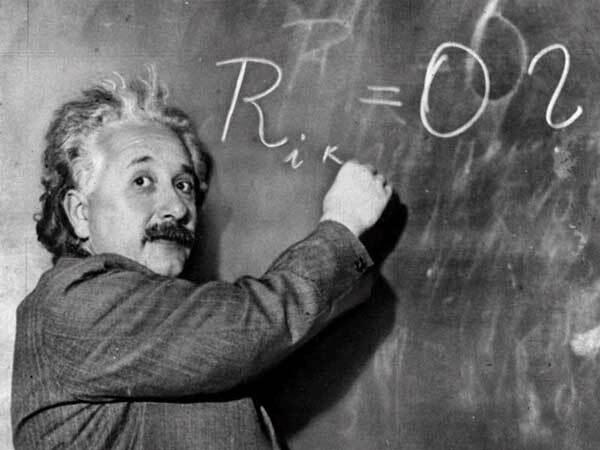 The Theory of Relativity and Other Essays – Einstein’s most famous equation was E=mc2 — and here he actually explains it in his own words. The World As I See It – Einstein addresses the modern world, including topics like nationalism, life, and religion. To celebrate Einstein’s birthday, I tracked down a list of some of his most famous quotes. Einstein was an intelligent and thoughtful man, and during his life he said many wonderful things. But if I had to choose one favorite Albert Einstein quote, it would probably be this one. “Any intelligent fool can make things bigger, more complex, and more violent. 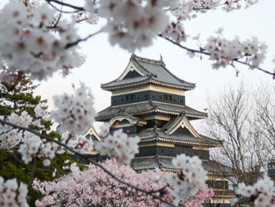 “I was in Japan during the huge 8.9 earthquake. It was an extremely scary situation – all power, land lines, and cell phone voice calls went down completely. 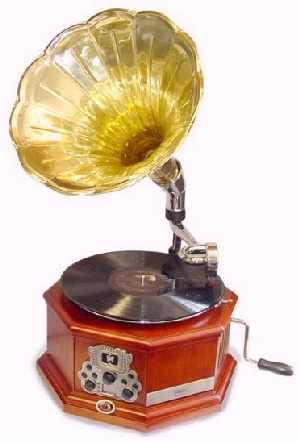 “The only communication with the outside world was my wife’s Kindle that had a 3G signal. I was able to slowly login in to Gmail and send an email to my family that I was okay. There was a lot of bad news in the world this weekend, so it’s nice to take a moment to feel grateful for those who made it through safely. The best thing about technology is that it connects us to other people. 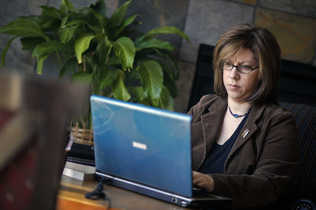 It can be the voice of the author who wrote an ebook, or it can be an e-mail from a friend we haven’t seen in a while. It can be an unexpected message telling us that someone survived a natural disaster, and even the story of a stranger can feel inspiring and touching. Amazon understands this, I think, because they’ve collected together some of the most touching stories from Kindle users on their Facebook page for the Kindle. Even though I don’t know these Kindle owners, I still find their stories give me a positive feeling. It almost makes it feel like we’re all part of a movement – and each little story is one more step towards a future where ordinary anonymous individuals face their day-to-day lives with a Kindle. It’s these quiet moments that make me feel like the Kindle is slowly but surely becoming a part of our lives. And there were two more comments that seemed almost remarkable just for capturing two more honest moments of enthusiasm. But my favorite comment of all came from a woman named Lauren P.
There was big news today. Amazon quietly revealed that they’re now offering Kindle owners eight different blogs that you can subscribe to on your Kindle…for free! In the past, there was only one free blog subscription available on the Kindle — the sprawling “Amazon Daily” blog. It rolled together posts from all of Amazon’s in-house blogs, like “Car Lust” (their blog for auto enthusiasts), and “Al Dente,” a blog about food and fine dining. (“Serious gastronomy meets culinary calamity”) In the mix were a few posts from the “Kindle Daily” blog, and more posts about books from Amazon’s “Omnivoracious” blog. All of the blog editors were very knowledgeble, and their posts were surprisingly interesting. But Amazon finally realized something: Kindle owners might enjoy different things. And some Kindle owners didn’t want to read every single post from each of Amazon’s different blogs. So today Amazon is making seven of those blogs available separately — and they’re all still absolutely free. Here’s a quick list of what Amazon’s making available. This is Amazon’s book blog, written by “the book editors at Amazon.com.” (I like this blog’s slogan — “Hungry for the next book?”) It’s available online at Omnivoracious.com, but it’s probably more fun to read it on your Kindle. 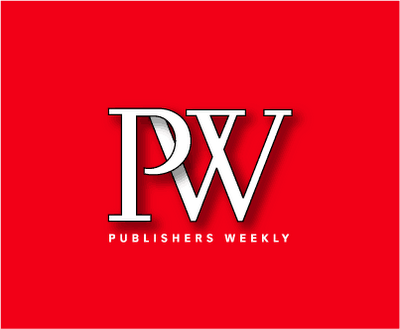 “We aim to share our passion for the written word through news, reviews, interviews, and more,” the blog’s editors explain — and it’s currently the most-popular of all of the new free Kindle blogs. “Interesting cars meet irrational emotion.” This blog promises “a deeply personal exploration of the hidden gems of the automotive world,” exploring “a broader universe that lies beneath the new, the flashy, and the trendy represented in the car magazines.” I’ve been surprised at just how intriguing these blog posts can be, offering a straightforward look at both cars and the culture that creates them. You wouldn’t know it from the blog’s title, but this one is actually about movies and TV. (“Sit. Watch. 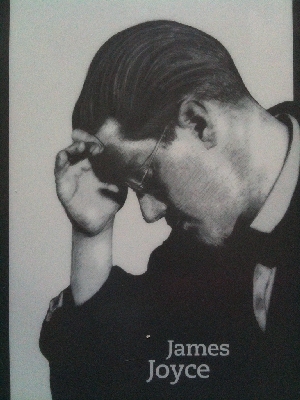 Discuss,” reads the blog’s tagline in Amazon’s Kindle store.) 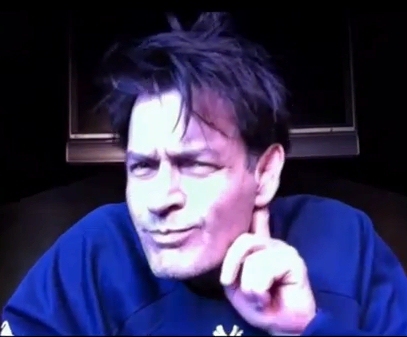 “We’re here to share the latest news and observations about film and television, show you cool things in the DVD and Unbox stores and riff on things we like.” And yes, they’ve done a blog post about Charlie Sheen — asking which actor would be best to replace him! Uh-oh, watch out for these guys. “We’re an unruly bunch of Amazon.com editors who love to cook, decorate, garden, and most importantly…eat!” It’s a fun blog that’s all about food, and I really enjoyed their suggestions on what to serve at your Super Bowl party. I think deep down inside, everyone likes eating good food — and it’s fun to read blog posts written by people who are really passionate about it. button and the ALT key on your Kindle at the same time. 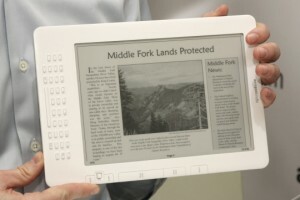 And of course, you can also still read the Kindle Daily Post online at kindlepost.com. A startling announcement came out of Brussels last week. 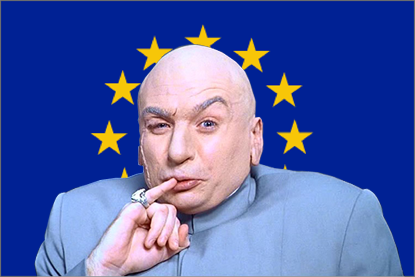 The European Commission suddenly issued a statement that they’d “initiated unannounced inspections at the premises of companies that are active in the e-book publishing sector in several [European] Member States.” They’re “searching for evidence that they had acted illegally to keep prices high in the nascent electronic-book market,” the Wall Street Journal explains — and it’s not the only such investigation. 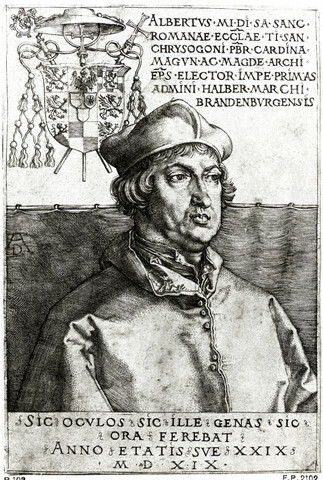 Of course, it’s important to remember that this is just an investigation, and “The fact that the Commission carries out such inspections does not mean that the companies are guilty of anti-competitive behaviour,” they warned in their press release, “nor does it prejudge the outcome of the investigation itself.” But there’s still been a lot of activity and excitement. The investigators “descended like cowboys,” according to one publishing company’s president. Another Journal article quotes his interview with a French technology site, where he also reportedly alleged that “This operation is masterminded by Amazon.” (That seems unlikely, but the investigation is definitely making some big headlines in the European business press.) And when the stakes are this high, maybe there’s enough pressure to go around. So who’s being investigated? Not Random House (according to the Wall Street Journal.) Their reporter actually contacted the top publishing houses in Europe, and a Random House spokesman indicate that they had not been approached by the commission. Several other publishing houses declined to comment (Flammarion and Albin Michel) or didn’t return the call (Gallimard SA). But interestingly, one company did confirm that they’d been contacted by investigators: Hachette Livre. What’s fascinating is that Hachette Livre is a publishing house that goes all the way back to 1826. They’ve published everything from Charles Darwin’s “On the Origin of Species” to Catcher in the Rye, according to their web site, and even Stephenie Meyers’ Twilight books (which have now sold 85 million copies in 40 countries). They’ve also publish Flaubert’s Madame Bovary, John Le Carre’s The Spy Who Came in from the Cold, and even the famous children’s picture book, Babar the Elephant. “In more than 170 years, the publishing houses that now make up Hachette Livre have produced many a masterpiece…” their site brags. 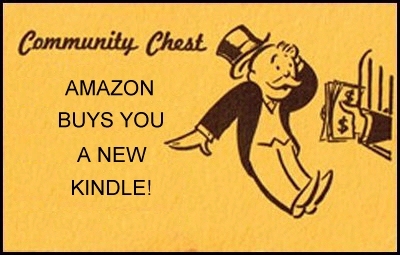 Is Amazon Planning a Free Kindle? It sounds too good to be true, but some pundits are at least considering the possibility that in 9 months, Amazon will start giving away Kindles for free. I’d laugh this off, if it weren’t for the impressive credentials of the blogger reporting on his conversation with Jeff Bezos — Kevin Kelly. He was the co-founder of Wired magazine, and has also written for some of the most-respected publications, including The Economist, Esquire, The New York Times, and Time magazine (as well as GQ). He even was a founding board member for The WELL, one of the first online communities in 1985, well before the dawn of the big commercial internet service providers. According to Wikipedia, even the producers of The Matrix required the movie’s stars to read Kelly’s 1995 book, Out of Control: The New Biology of Machines, Social Systems, and the Economic World. Of course, there’s a few caveats. If you go back and read the original post, Walkenbach had actually said “If this price trend continues, it will be free by June, 2011.” (And not November.) Walkenbach had added “I’m actually serious about this. At some point, the Kindle will be free. 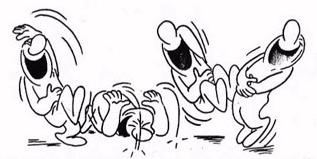 It will probably be before June, 2011.” But Friday Kelly’s site had updated Walkenbach’s graph to include the most-recent price drop to $189, and then re-calculated the trend to conclude that the Kindle’s price would reach $0 by November. 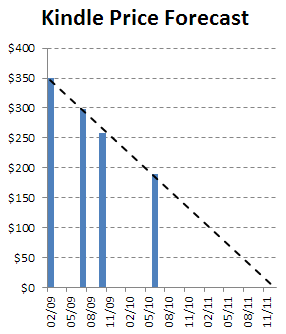 the program (which offers discounts on shipping from Amazon) already costs $79 a year. Amazon would throw in the Kindle for just $60 more — presumably hoping that they’d earn back the cost of the discount when the recipients started ordering more ebooks from Amazon. The previous month Amazon had even tested a unique program where they’d ship Kindles to carefully-selected customers — and the customers didn’t even have to pay Amazon. “If you don’t love it, we’ll refund your money AND you can keep the Kindle,” Amazon’s offer explained. It’s hard to think straight about this possibility — because it’d be so ridiculously exciting if Amazon suddenly started handing out free Kindles to everybody. It does make me think that Amazon probably will continue dropping the prices on a Kindle. After all, they’ve obviously calculated how much more money they’ll earn when each new Kindle owner starts purchasing all their ebooks from Amazon’s Kindle store. I’m not a stock analyst, but it’s worth noting that the people who’ve studied the technology industry are taking this possibility seriously.